Reacher, the Good Ol Boy? Bring back Tom. 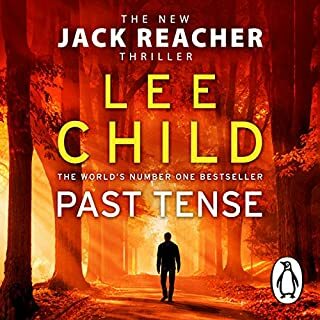 Although a long time fan of the Reacher series, I was disappointed with this. The thing is, I'm not sure if the form is tiring (or me of it) or it was ruined (for me) by the characterisation of the reader. There has been plenty of comment about using Tom Cruise in the movie franchise, even so, while he is a short arse without the famed bulk and power of the author's creation, at least his accent is neutral and his portrayal of the character reflects the wit and intelligence that we have come to know and, dare I say, love. And by wit of course, I'm referring to his mental ability to reason, deduct, and strategise even while demolishing a medium sized crowd of semi-zombie hulks. I'm afraid Mr Harding's imagining was way off beam for me. The lethargic drawl, the ponderous roll out, it was more Arnie with a computer manual than an intelligent, experienced, top of the class investigator processing, planning, operating. Come on, a guy born in Europe, French speaking, who has lived all over and never put roots down would not arrive in middle age with an accent like a Good Ol Boy or an Arkansas share cropper. Look, maybe I am being disrespectful to Mr Harding, to Good Ol Boys and to Arkansas share croppers. If so I apologise. I'm Australian, what do I know about it. But for me, it was completely wrong. The other comment is that the book appears to be performed completely as published. This is my first Audible book - but a performed work is different to a work to be read. When we're reading text there has to be information that's necessary but that we largely, subconsciously ignore: information that is not required in a performed work. You read a play, you read the stage direction. You perform a play, those elements are obviously not required or included. In this reading of Past Tense, there seemed to be no editing of the minor elements that were no longer required, principally, numerous 'he said' 'she saids' that were superfluous with the voice characterisations, and annoying. Surely the authors would permit some careful editing of these elements. I'm not looking to troll Mr Harding, I'm just saying surely the budget could run to a Director that could oversee the production and give some informed direction. I believe this would produce a better product and obtain a more committed audience.